At Manvers Waterfront Boat Club we offer a wide range of activities, both water and land based. Browse the information below to find out what we do! Manvers Waterfront Boat Club has an extremely active Paddlesport section which currently has over 400 members. Our home base at Manvers Lake is the ideal venue for newcomers to try the sport and to learn the fundamental paddlesport skills in a safe environment. We have a wide range of craft available for club members to use including sit-in and sit-on kayaks, open canoes and stand-up paddleboards. Manvers Waterfront Boat Club has a small but active windsurfing section, and there are plans to develop sailing. We have a good range of windsurfing kit, with modern boards that are easy to learn to sail and also progress to intermediate standards. 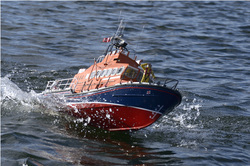 Our RYA qualified instructors can help you learn the basics, using a simulator on land and appropriate kit on the water. The lake provides a suitable environment to learn on – come and give it a try! 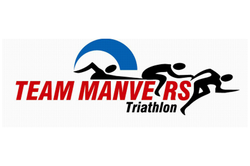 Manvers Waterfront Boat Club is the home of Team Manvers which was established in 2009 to cater for the needs of triathletes in the Wath area of Rotherham / Barnsley. We are a very friendly club, with members having a wide range of ages and abilities. Find out more about Team Manvers. 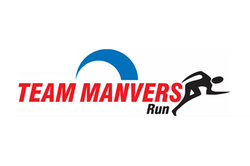 Team Manvers Run is the social running section of Manvers Waterfront Boat Club. We are a welcoming and friendly group of people, and welcome runners of all abilities from beginners right the way up to experienced runners. 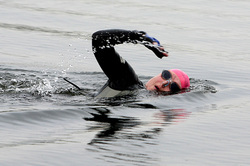 Take a look at our website and check out the pictures from races we've taken part in. Manvers Lake is home to a great variety of fish species, namely: roach, perch, pike, bream, tench, carp, brown trout and catfish. Coarse anglers and specimen hunters alike favour the deeper areas as ledgering is a favoured tactic for carp, tench and bream. Depths can vary between a couple of feet to over twenty feet. Manvers Waterfront Boat Club has a small but active model boating section. Sailing takes place most Saturday and Sunday mornings and into the early afternoon - weather permitting. Types of models sailed include yachts, scale, steam and fast electrics - tunnel hull, Vs, and hydroplanes. There is a wealth of experience and knowledge in most facets of modelling.